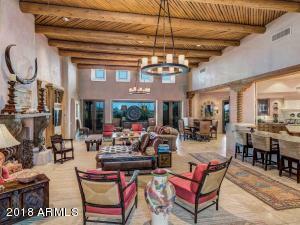 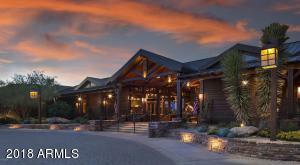 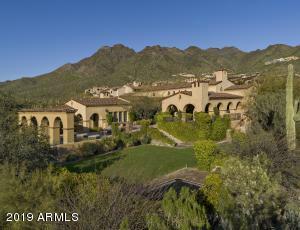 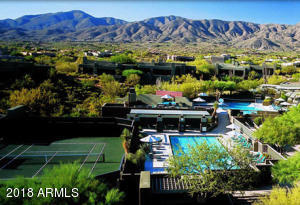 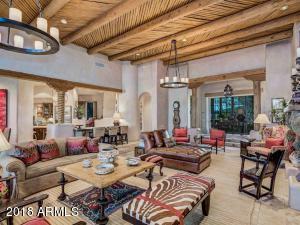 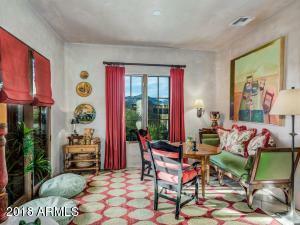 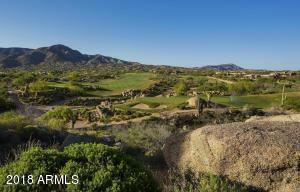 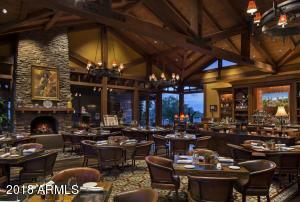 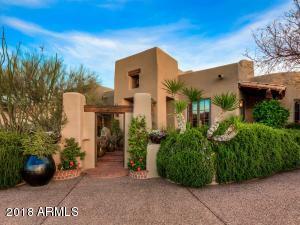 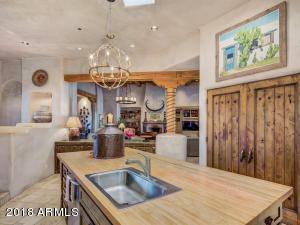 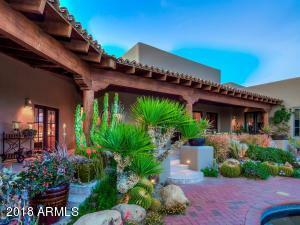 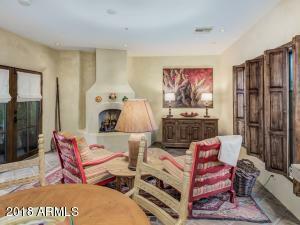 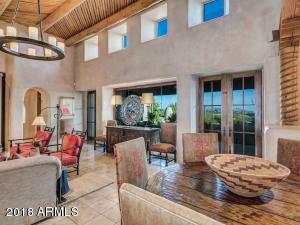 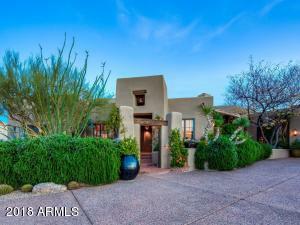 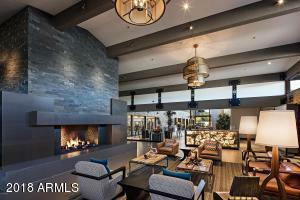 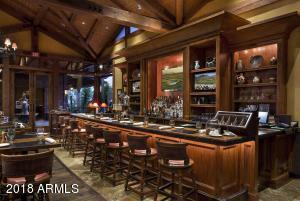 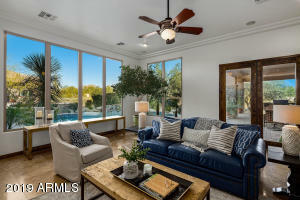 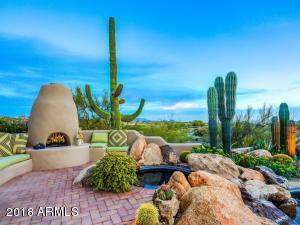 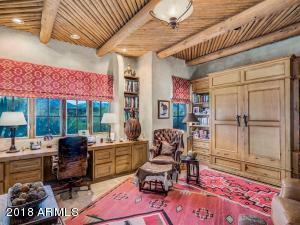 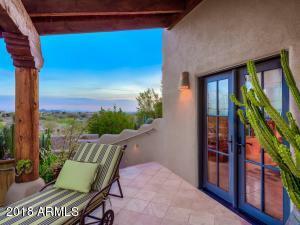 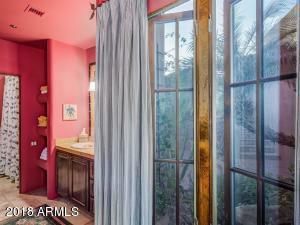 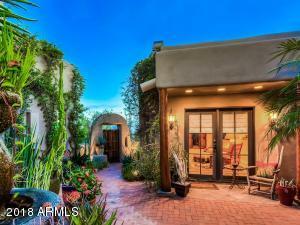 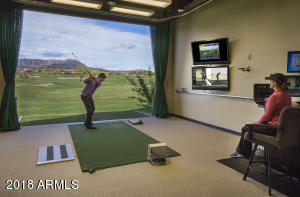 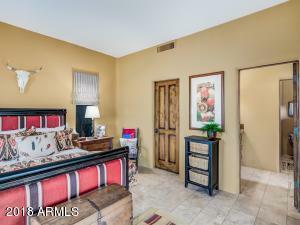 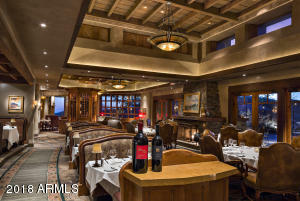 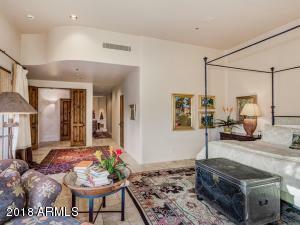 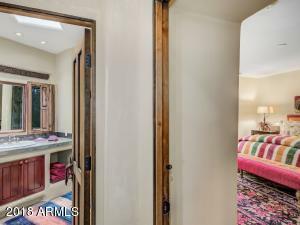 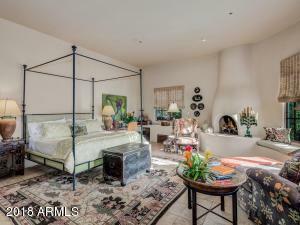 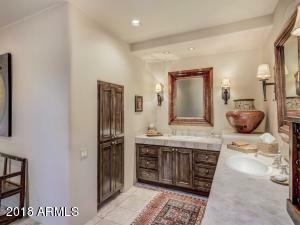 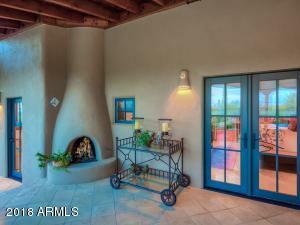 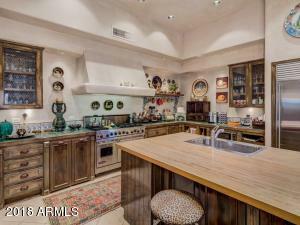 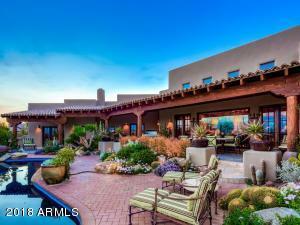 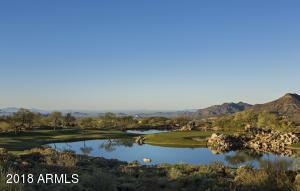 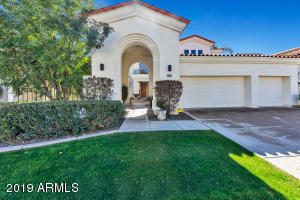 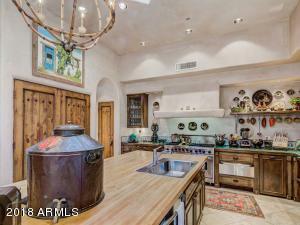 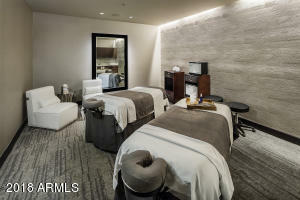 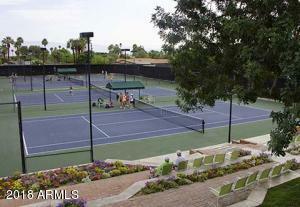 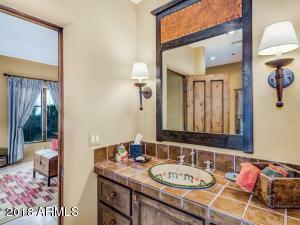 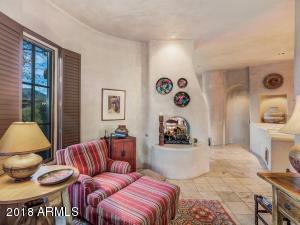 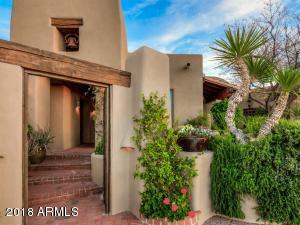 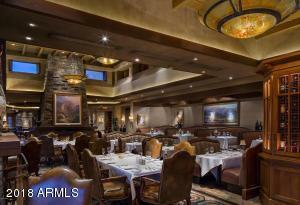 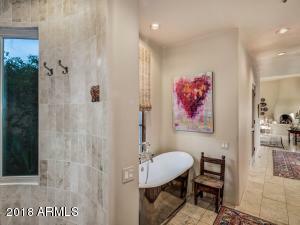 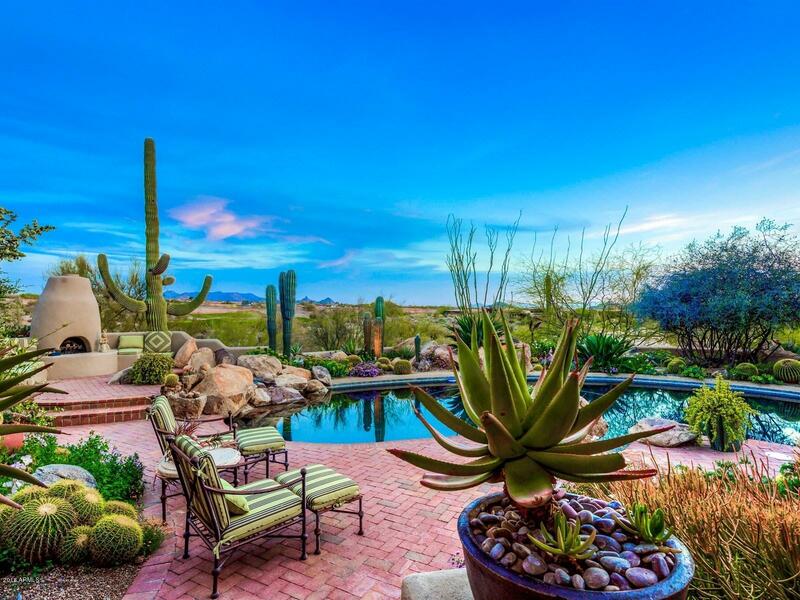 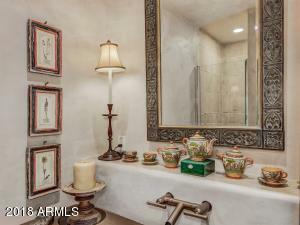 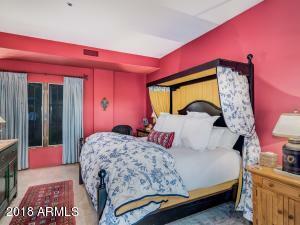 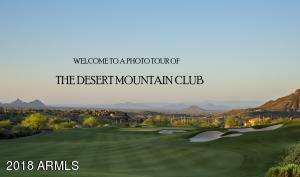 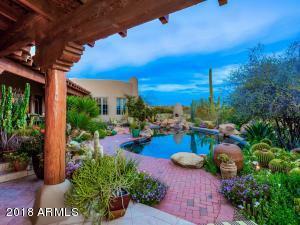 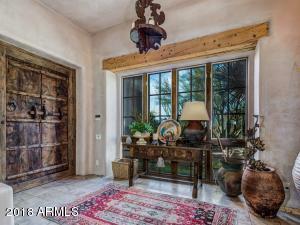 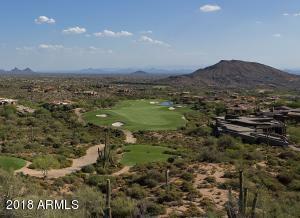 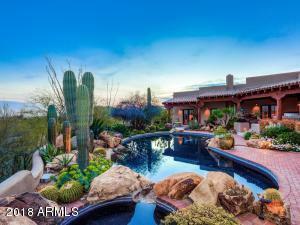 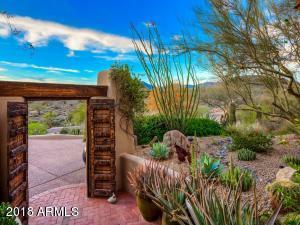 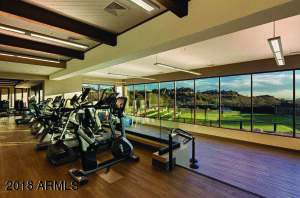 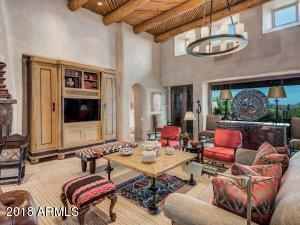 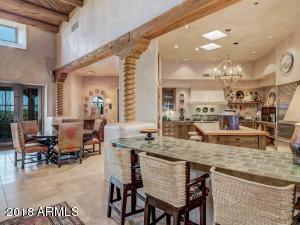 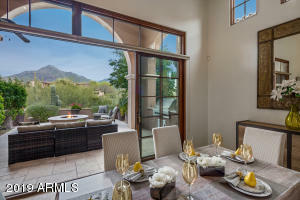 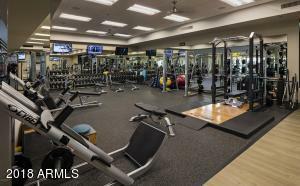 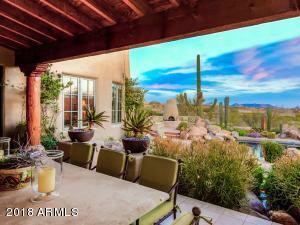 Elegant Santa Fe Territorial home which sits high on a ridge overlooking the 13th fairway of the Renegade Golf Course. 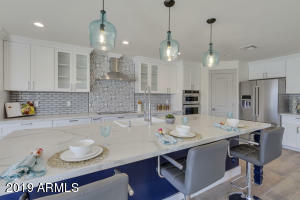 Immaculately cared for over the years, this home features granite and marble finishes, venetian plastered walls, a gourmet kitchen, a freestanding guest home with bedroom and living room& kitchen area. 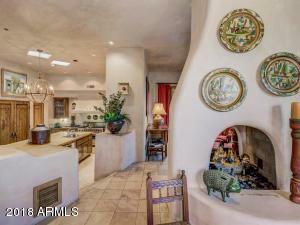 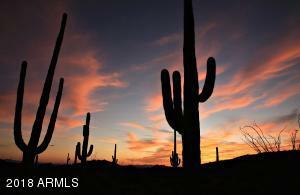 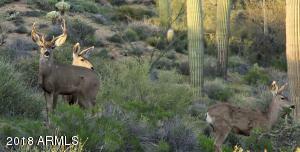 You absolutely feel as if you are in ''old Santa Fe''. 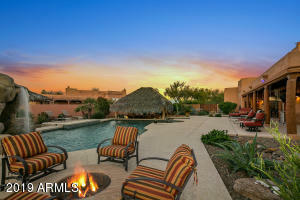 Incredible city lights, privacy and resort living at it's best. 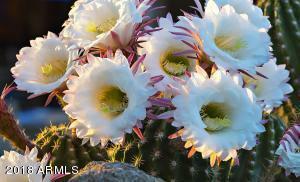 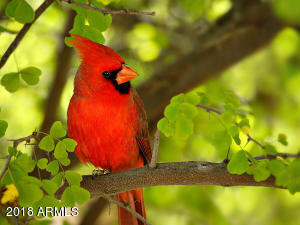 Price includes lot 212 ((APN 219-56-897). 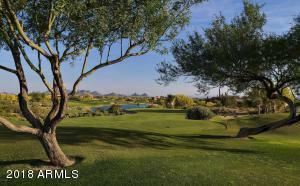 Lot has not been joined to this property, but included in the price.